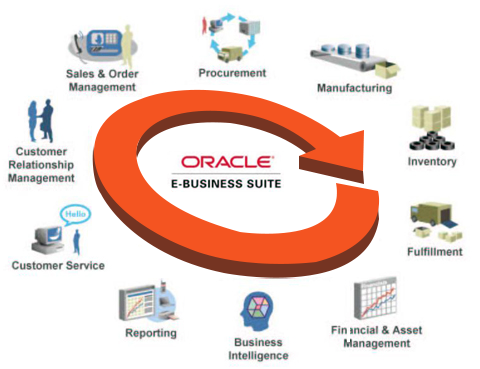 Oracle E-Business Suite | Spyre Solutions, Inc.
Spyre Solutions provides planning, implementation, upgrade and optimization services for your Oracle E-Business Applications. Our differentiator is our depth of knowledge, gained through many consultant-years’ experience in implementation and upgrade EBS projects spanning many sectors both private and public. Our consulting implementation team is well weathered with many battle scars and our ultimate goal is helping our customers realize the intended benefits. The consulting market is crammed with firms making promises that they cannot deliver on that end up in poor quality solutions. As bold as it sounds, we are different and our reputation supports that claim. We work collaboratively with to truly understand your business and then recommend solutions that allow you to optimize your business process while avoiding costly systems customizations. We cherry-pick and then cultivate all of our people. This allows us to assemble highly productive teams that combine business acumen, technical abilities, and right attitude with experience that is targeted to the project at hand. Why Upgrade to EBS 12.2.x? The latest Release 12.2.3 is cumulative and includes new updates as well as updates made available in one-off patches on 11.5.10, 12.0, 12.1.3, and the base 12.2 releases. EBS 12.2 represents the most-ground-breaking release in years. It includes new product functionality, new Fusion Middleware and database components, and introduces new tools for installing, configuring, and maintaining E-Business Suite environments. With 12.2.3, the Oracle E-Business Suite incorporates current UI design trends and improves user productivity. Includes significant enhancements across the integrated suite of business applications spanning enterprise resource planning, human capital management, and supply chain management. Apply EBS patches while users are still entering transactions and using the E-Business Suite. Online Patching uses the Oracle Database’s Edition-Based Redefinition feature and other new technologies to allow the E-Business Suite to be updated while the system is still running. Uses Oracle WebLogic Server, which replaces the Oracle Containers for Java (OC4J) application server used in EBS 12.0 and 12.1. Appears lighter and fresher, with flat rather than dimensional elements, reduced gradients, and white or light colors with splashes of darker color. Allows an end user to scroll through a table if its width exceeds the browser’s width, detach a table and work with it as a separate component with a wider width, and re-size and reorder table columns that an end user can then save as a user personalization. Displays by default in all HTML-based pages, the worklist header icon is an alternative to including a worklist region in the Oracle E-Business Suite home page. Users can select the icon to view a summarized list of recent notifications, then click to view and respond to notification details.